We can derive a surprising number of useful conclusions from just this basic assumption using the tools of economics. If profit in the formula above is positive, then crime pays, and a rational person commits the crime. Money to be made. Where there is money, there is crime. Some communist regimes achieved a very low crime rate by having nothing worth stealing. (I prefer suffering some crime. Opinions differ, however.) When the Drug War tightens the supply of recreational drugs, the price per dose goes up. There is more money to be made per unit of criminal activity. Psychological benefits of crime. Performing a crime can be thrilling. Not everyone can afford to take up mountain climbing or other extreme sports. A bit of shoplifting or burglary can provide similar thrills. This is one reason why you see more poor and young people doing low-profit crimes. The young particularly crave thrills, and the poor cannot afford gentleman sports. (The racial composition of extreme sports is the opposite of the racial composition of our prisons. Hmmmmm.) Once upon a time, troublesome teens were offered military service as an alternative to prison. Maybe we need to investigate something similar. Other thrilling crimes include driving fast and taking recreational drugs. 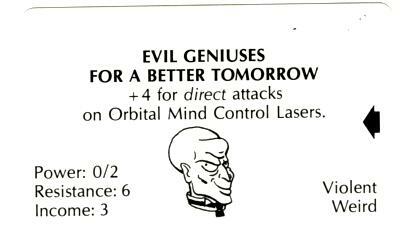 Once again, these are cheap compared to gentlemanly thrills, despite the efforts of the drug warriors. Useful takeaway: we might want to revisit our overly safety conscious society; it could be backfiring. Social benefits of crime. To be a rebel, to defy the authorities, is to gain status in many social circles. This is particularly true among the young. It is also more true among the oppressed, or those who consider themselves oppressed. The former needs to be channeled and contained; it cannot be fully squashed. For the latter, we need to reduce oppression and stop dwelling so much on oppression. Yes, this is paradoxical, but it is important. Cultural Marxism and the grievance industry make things worse by creating a spiritual discipline of envy and unhappiness. But there are legitimate grievances that should be fixed! Let us fix them and be done with it. Training and tool costs. Many crimes require very little training. Standing on a street corner selling drugs isn’t exactly rocket science. But these costs are not zero, and they can be high for some crime. Picking a pocket is an art. Ditto for quietly breaking into a house at night, or cracking a safe. Smuggling drugs can require expensive hiding places. Time value. When you are doing crime or preparing for such, you aren’t doing other things of value. I will come back to this. Social costs. In some social circles being known as a criminal is to be excluded. This ranges from disapproval from family members and church members, to difficulty in getting a good job. The effect is huge. For many, whether one is a “good person” depends on social circle! A psychopath who takes up brain surgery or bond trading in one setting might take up vandalism and burglary in another. Social engineering is thus an extremely important component of criminal justice. Cost of punishment. We finally get around to the actual legal system! Just notice how many other terms we had to cover first to get here. A criminal justice system that focuses solely on punishment is woefully incomplete. But punishment is an important deterrent, so let us dig deeper in order to get more bang for our prison system buck. News flash: most criminal acts are not punished by the state! Capturing criminals is difficult. So in many cases we should zero out the punishment term in the equation so far. Crime often pays. But sometimes the state does act, and in the United States the results can be brutal indeed. In those cases crime is very expensive. The Broken Windows Strategy. When a large number of petty crimes go unpunished, it sends a signal that the probability of punishment for serious crimes is low as well. Clean up the graffiti, stop the squeegee men, and ticket everyone seen doing a minor infraction and you send a signal that crime does not pay. 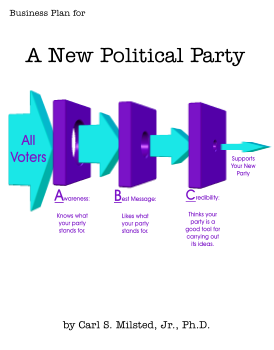 It works, but the strategy can get intrusive and authoritarian. When it inspires street riots, the strategy backfires. I will show an alternative use of Broken Windows Theory to increase liberty in a future article, one which reduces the probability of riots. Time to dig deeper into the economist’s toolbox. There is no such thing as absolute cost. The cost of any action needs to be compared to the alternatives. In economics, all costs are opportunity costs. I hinted at the idea earlier when I threw in time value on the overall formula above. Let’s go deeper. For example, I have no interest in become a street corner drug dealer. Even if my White Privilege Card gave me complete immunity from prosecution (for this class of crime) I wouldn’t take up retail drug dealing. It doesn’t pay enough. I make more money writing software, and I find programming to much more fun than retail. The opportunity cost of retail drug dealing is too high for me even before figuring in possible prosecution. For a burger flipper, however, the situation is different. If retail drug dealing pays more than flipping burgers, there may be temptation absent the threat of punishment. 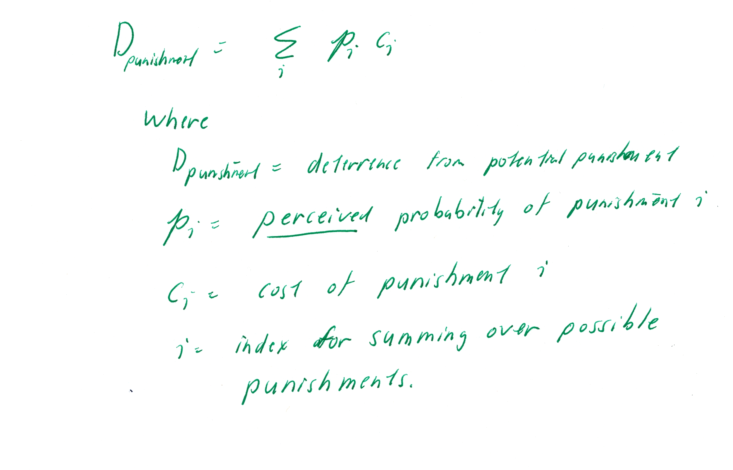 Let’s look at opportunity cost with respect to punishment options. Personally, I truly fear punishment and will obey laws that I consider to be stupid or even evil. I really don’t want to spend any time in prison. Public school was bad enough. But I have a reasonably comfortable existence. The contrast between prison life and my life is huge. For someone living in a scary housing project, the difference is far less. For a homeless man freezing on the streets in January, a nice warm jail cell might be a lifestyle upgrade. Suppose we adopted a Nordic approach to prisons: uncrowded, comfortable, with an emphasis on counselling and rehabilitation. For me, a sentence in such a prison would still be a significant lifestyle downgrade. I have many better things to do. But for the poor in the United States, humane prison time might be viewed a minor inconvenience. The opportunity cost would be low. Subject the poor to harsher prisons than we subject the not so poor in order to impose similar opportunity costs. Make poverty less bad on the outside. The United States criminal justice system effectively follows the first strategy. Some would say it is unfair, and even evil. For the past few years I have been advocating the second strategy here, albeit in a more market based form than a Nordic welfare state. You cannot do real economics without using the word “marginal.” This goes for the economics of crime as well. Shoplifting is hard to catch. So is in-home use of marijuana. Even though both of these crimes have limited profit (before factoring in punishment), they are profitable to many. A simplistic authoritarian solution would be to ramp up the punishment to a huge multiple of the net profit of the crime. String up some shoplifters in the public square so that the rest might know fear. Levy five year sentences for minor possession of marijuana. Personally, I think this solution makes government more evil than the criminals. Your opinion may differ. But let us put aside issues of cosmic justice. Let us focus on practicalities. If the government hangs shoplifters, what’s left for armed robbers? If the government hangs armed robbers, what’s left for armed robbers who actually fire their guns and kill people? If the government hangs property criminals, what’s to stop them from shooting at the cops when cornered? If the government gets Medieval on murderers or cop killers, then it is better for the criminal to go out in a blaze of bullets than to be captured. Expect policemen to die. Unless you want criminal situations to escalate into violence, it is important to make punishments somewhat proportional to the badness of the crime (at least monotonically increasing as badness increases). There needs to be a penalty for escalating, and an incentive to surrender when caught. And there is another pragmatic consideration: in the U.S. it is extremely difficult to execute people even for murder. And life sentences are expensive to extend for the rest of a young life. It is thus critical to limit life sentences to the most heinous of crimes, and have lesser penalties for lesser crimes as we work our way down the list. Instead, our tangled legal system ends of sending people to jail for decades for minor crimes. This is both evil and inefficient.